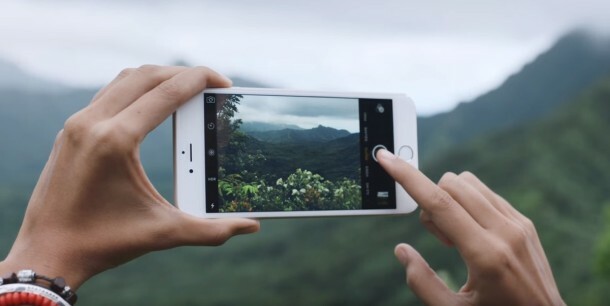 Apple is running a new series of iPhone 6s advertisements on TV, each in the same general theme of prior iPhone 6s ads with a handclapping soundtrack. The new spots focus on the devices camera, as well as the Hey Siri feature. 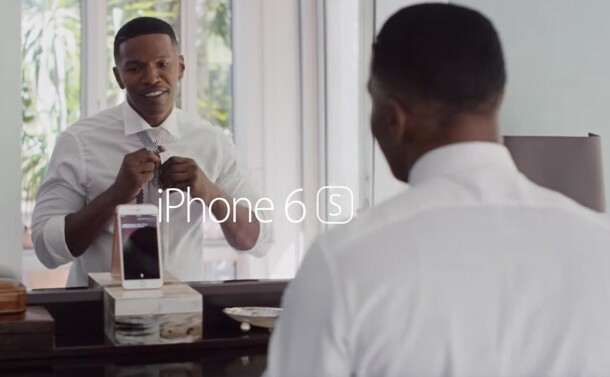 Two of the new ads are a bit different however and focus on actor Jamie Foxx talking to Siri on a pink gold iPhone 6s to demonstrate the Hey Siri feature, the bits seem to extend from a prior iPhone 6s commercial where Jamie Fox made a cameo. The commercials are airing now on television and those watching football or primetime TV will likely see them. The ads have also been embedded below for those who want to view them but without turning on the tube. A variety of iPhone Camera features are demonstrated with people taking selfies, using Live Photo, and capturing 4K HD video. In brief real world testing, asking Siri “how do I look?” seems to always result in the response of “I can’t see you” but perhaps that will change in the future, or maybe Siri just doesn’t want to offer an opinion on the matter, even if it’s a funny response. Update: Never mind, Siri now includes a variety of self-esteem boosting responses to the “How do I look” question, including one which quotes Shakespeare. Go ahead and ask! In another commercial, the Live Photos feature is demonstrated with basketball star Stephen Curry making a shot from half court. Apple is also running other commercials right now, including a large variety of ads for the Apple Watch. The only thing that’s changed with the camera is everything because we’ve decided not to include these features in the previous models. The iPhone 6s is a great phone but it’s still kind of ugly looking with those weird color lines on it, needs a case. Just saw these ads watching football games. There’s a portion where a lady has a goat taking selfies with a goat. Very millennial.